Christmas day is a big day. Big day means big problems — you can’t deny that choosing a decent gift for all your relatives and friends is always a very time-consuming process. Well, we know how to help you. We’ve decided to find the best Christmas gift ideas for dad and collected the 13 best gifts here. Cheap and expensive, simple and thoughtful, big and small — below you’ll find the gifts for every taste and pocket. It’s a complex question, agree? All the dads have different tastes and interests and a perfect gift for my dad wouldn’t work well for your dad, for instance. That’s why all those compilation listings on the Internet are often not really helpful. 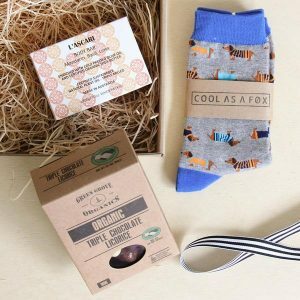 But we’ve tried our best here and collected a very wide range of gifts and gift sets on this page. Hope you’ll find something really good here. Let’s start. So that’s where we start. A bottle of good whiskey may look like a very good idea for almost all dads — the only problem here is to make the right choice. There are many dozens of types of whiskey, scotch and bourbon, so you’ll have to do some research. Of course, if you know that your dad loves traditional Jack Daniels, Johnnie Walker (or something more rare, like Japanese whiskeys or Canadian ryes), all that’s left to do is make the purchase. 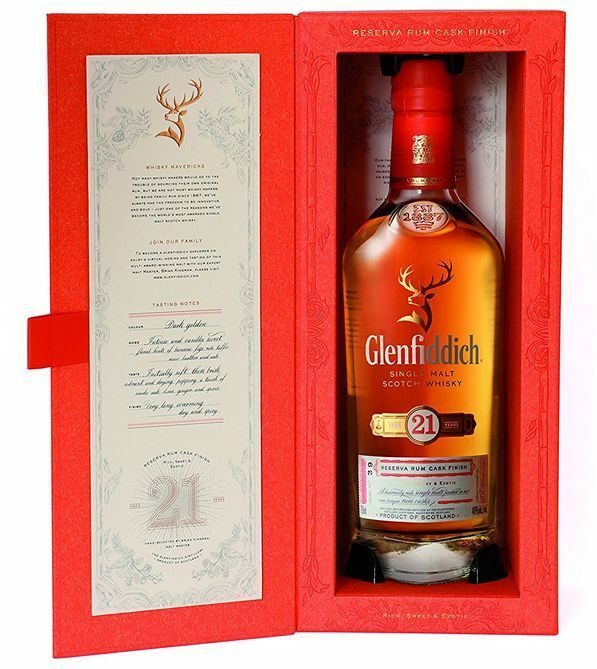 If you don’t know nothing about your dad’s whiskey preferences, we have a perfect gift here — a 70cl bottle of a good and quite old Glenfiddich. It’s 21 years old, it has a soft and peppery taste and it’s just very, very good. A beautiful gift box is here, too. A man should smell great. No, “should” isn’t the right word, “must” is. However, when you choose a fragrance for any person, it’s quite a difficult choice, because you have to know this person very well… But it’s not a problem when it comes to our dads, right? A fragrance set doesn’t just contain a perfume, it’s a set of a perfume, a shower gel and an after shave. The cool thing here is that all the pieces of a set smell similar, so if you’ve got the scent right, it would be a very pleasant gift for your dad. 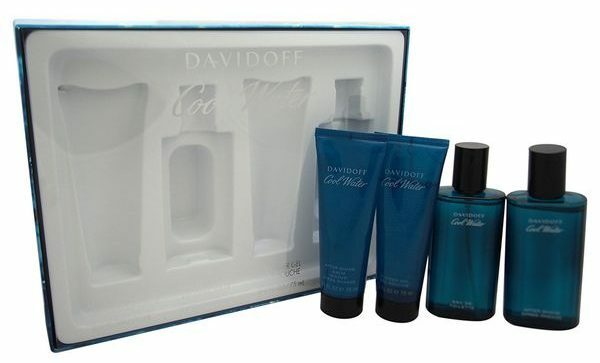 We’ve chosen the set by Davidoff — it looks perfect, it smells as good as it looks and it’s not very expensive. Very good scent for a man, very good choice for Christmas! 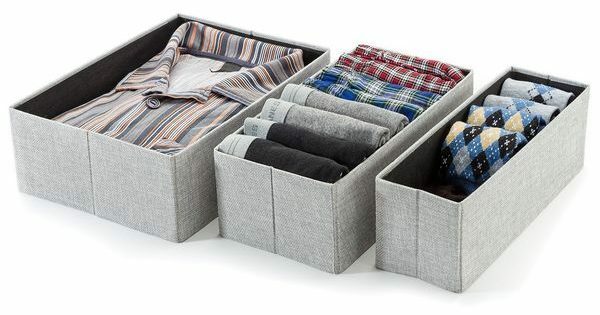 Sock drawer organizers are perfect gifts for dads who have everything! It’s always a problem when someone says that he or she already has everything and thus doesn’t need anything. It sounds like “I don’t know what I want so make something up (and it better be a good gift)”. Did your father say something like this to you before this Christmas? Well, don’t worry, we have something for him here. Meet the sock drawer organizer — the best gift for all men, even for those who have everything! The thing is, all men (well, the absolute majority) have certain socks problems: the socks always disappear somewhere in the house (or in a washing machine). If you want to solve this problem for your dad, this organizer would help. It’s extremely useful, quite cheap and he’ll 100% be thankful for it! It makes sense that this gift would not work well if your dad doesn’t have a beard. If he has, let’s take a look. 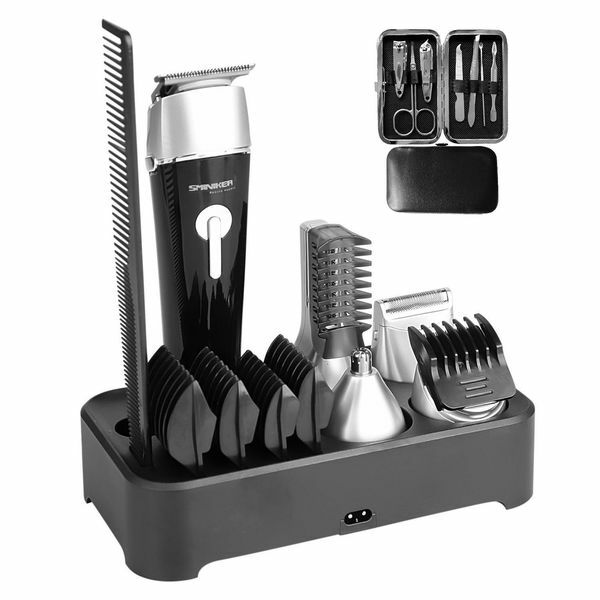 It’s a grooming kit that includes three trimmers, a shaver and a hair clipper (!). If your dad has a beard and if he cuts/trims his hair at home, it’s 100% the best gift you could find. It’s a set of multi-functional tools that will help your dad look perfect. Another thing we like about this kit is that a 2 year warranty is provided and that there are dozens of accessories in the kit. Your dad will love it, 100%. You know that your dad adores grill and BBQ, right? 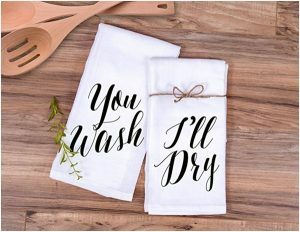 If he really does, that’s the best gift you can give him. A great grilling set contains all the necessary tools (like a spatula, tongs, forks, brushes, gloves, etc.) — and it would make his barbeque parties even cooler. 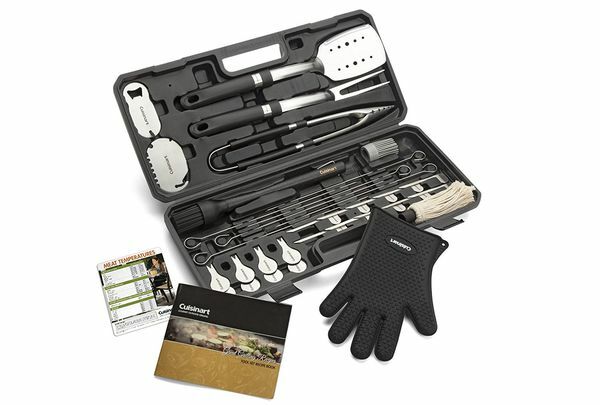 We’ve found a very cool set from Cuisinart — the case looks cool, it’s quite cheap and it contains 36 tools (skewers, burger flags, corn holders, grill scraper and bottle opener in addition to the standard tools we’ve listed in the previous sentence). Unfortunately, adult men often has certain back problems. We’ve found lots of cool tools that can help them. We are talking about back massagers — there are dozens of them, but only some of them really work. 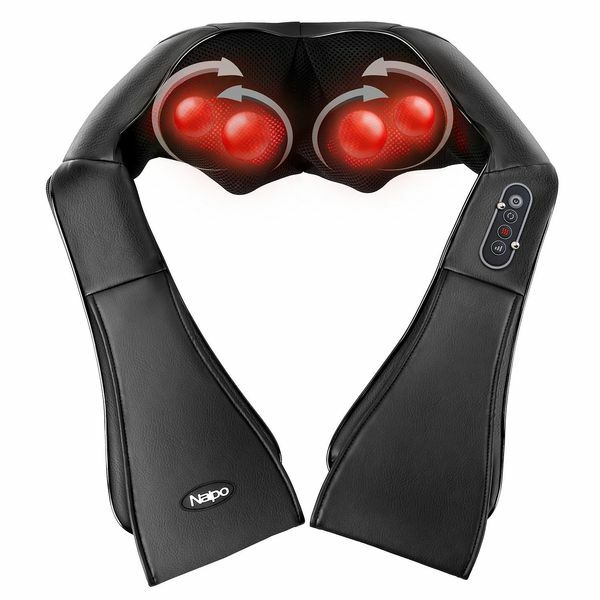 This Naipo Shiatsu massager is one of them. It can make both a soft and a hard (deep) massage — if your dad has back, shoulder or neck problems or pain, he’ll 100% be glad. It’s a very effective massager that can really make your father’s life much easier — and it’s not so expensive, which is another advantage. Whiskey glasses — great Christmas gifts for dad from son! Let’s talk about whiskey again! If you didn’t choose a good bottle of whiskey, what about a set of beautiful glasses? We didn’t add personalized glasses on purpose. The thing is, we are talking about Christmas, not about a Birthday or about a Father’s day here, and that’s why it mustn’t be a customized gift. However, you can always ask the seller to engrave the glasses. 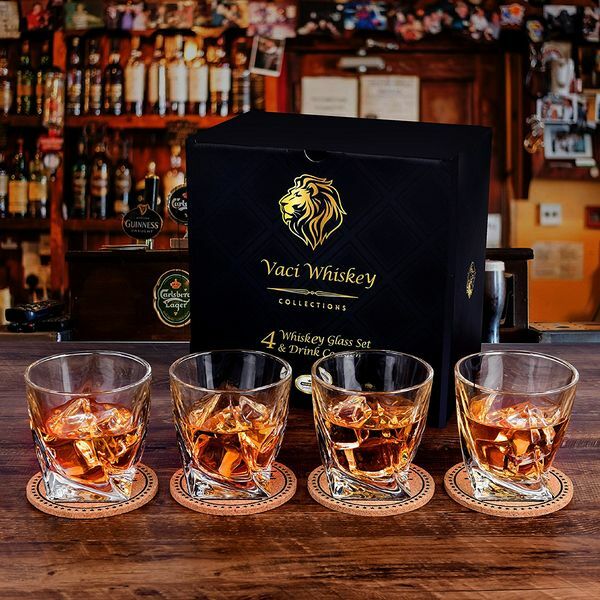 We’ve chosen the set of 4 10oz premium quality glasses — they look amazing, they are cheap and they are perfect for every man who knows something about whiskey. Does your dad need a tactical flashlight? Well, don’t be so quick — because the majority of men adore such things even if they don’t really need them. Another thing you have to know: such flashlights are extremely useful. 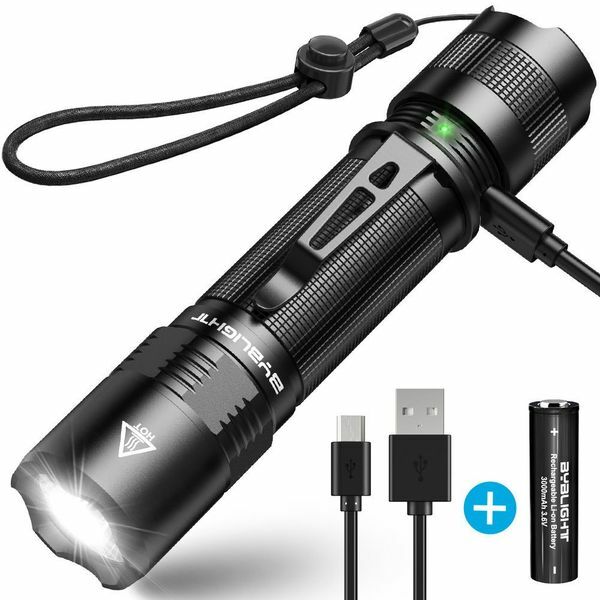 I’m not sure if I need to list all the situations, but the flashlight is the thing that must be in every man’s bag/garage/car. This flashlight has a very good battery, it’s waterproof and it’s extremely bright (800 lumen). It’s also compact and lightweight — so if you don’t know what to buy, you will not make a mistake if you buy it. So, it’s time for something meaningful. 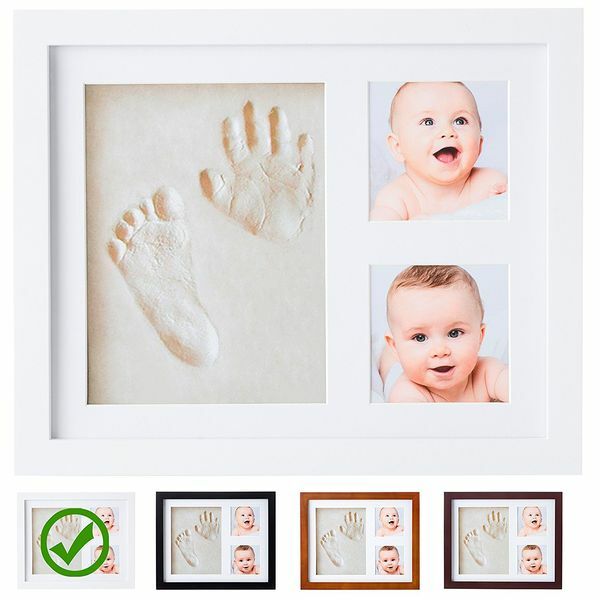 If you want to make a very deep gift from baby, we have a win-win option: a baby handprint kit. It’s the best way to keep the memory about the baby’s first years (as well as photos and videos, of course). A handprint kit is the most meaningful gift we could find — and it’s probably the only gift here that would still make your dad happy years later. We’ve chosen the kit by Little Hippo — it’s very easy to use, it’s made of high quality materials, it’s safe and it’s the best choice if you want to capture the memories. Fun coffee mug — one of the best cheap Christmas gifts for dad! It’s a classic gift for those who doesn’t know what to buy and for those who doesn’t want to spend too much. A fine coffee mug with a cool print is a simple gift that has always been popular. 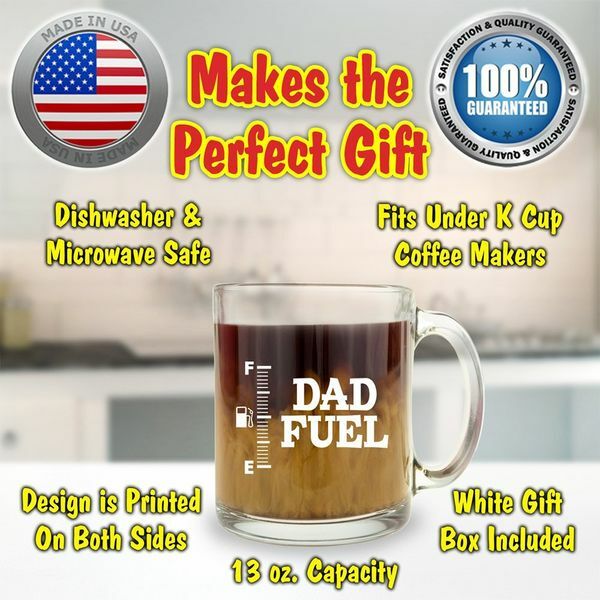 We recommend to pay attention to the mug with a “Dad Fuel” print — it’s really cool&fun! And it costs even less than $20, so it’s a very cheap gift. We are sure that a big (10oz), high quality mug with a cool print would be a good Christmas gift for your dad. 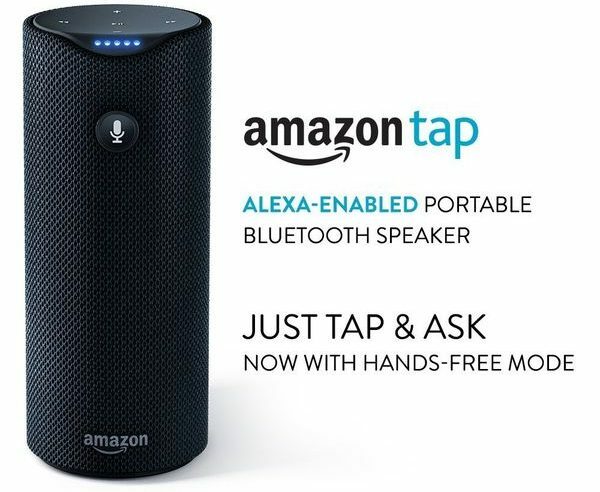 What about a Bluetooth speaker? Please, don’t think that only teenagers want to have these things, that’s not true! Adults like them too, especially if these adults are good with different devices. We’ve chosen the best speaker, and of course, the choice is quite obvious. It’s called Alexa. This speaker can play music, read the news and weather forecasts, the Dolby sound is here, too, and its battery life is extremely long (up to 9 hours!). Your dad will 100% love this gift (if he loves modern technology, of course!) and you can buy it very fast. 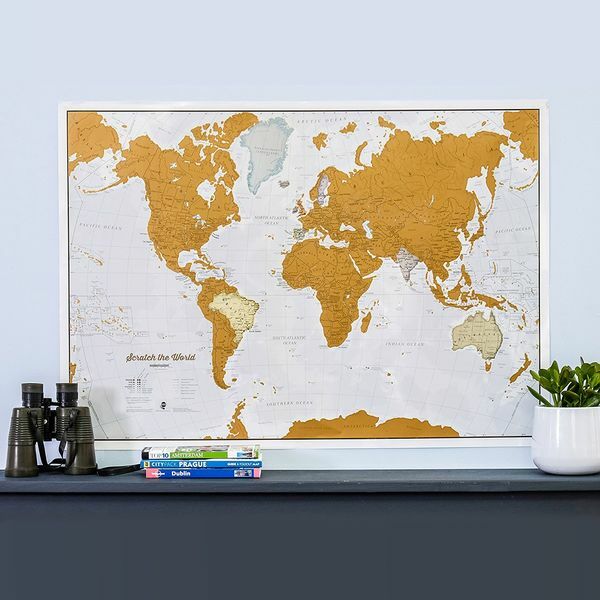 Scratch off world map is a unique thoughtful present for dad on Xmas! 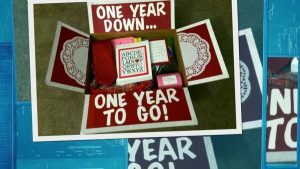 What about a gift that may encourage your dad to change his life? Not too radically, of course — but with this gift, it’s quite possible that he’ll start travelling the world. Sounds great, right? We are talking about a scratch-off map. It’s a big and detailed wall poster — when you visit a country (or one of the American states), you scratch it off from the map. Perfect gift for travel enthusiast, and even if your dad isn’t one of them, with this map everything is possible! Here you’ll find a 33×23 inches map of the world (with US states). It’s a high quality product which has hundreds of positive reviews and feedbacks, and the price is very reasonable, so don’t wait! We are sure that your dad has worked hard during his life, so he deserves to relax and to travel around the world! Watches — top Christmas gifts for dad! Finally, the most traditional and the most controversial gift — good men’s watches. We know that some people believe that giving watches as a gift can lead to some bad stuff, but you don’t believe in superstitions, right? There are many types of watches to choose from, but since you are looking for a gift to your dad, we’ve made our final choice: classic metal watches. What is the most reputable brand? 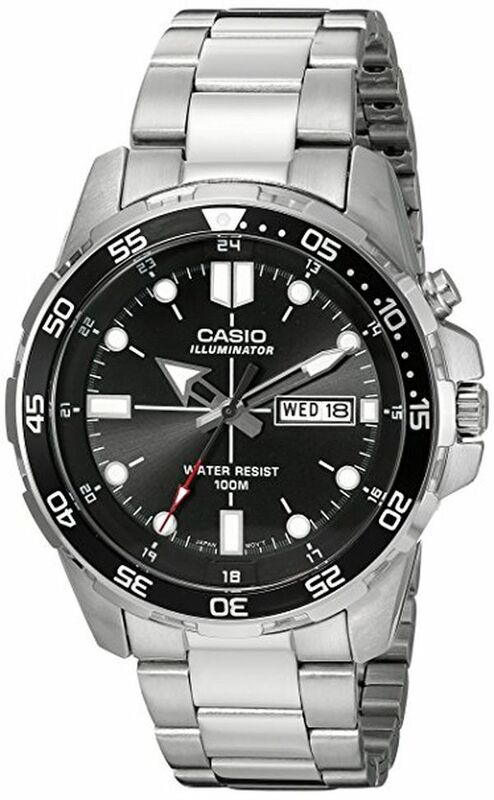 Casio. What is their best model? MTD-1079D. It’s perfect. Talking about this watch doesn’t have any sense. It’s simply the greatest choice for the money — made of stainless steel, with quartz movement and fluorescent paint — you just can’t find anything better.